For a couple of weeks now I have been wanting to make some sort of bird feeder, to promote the discussion amongst us all about how we can encourage wildlife in our gardens. I then came across this very toddler friendly idea! We're Going On A Blackberry Hunt! Double Thumbs for Blackberry Picking! Today the Den children were lucky enough to venture out of the nursery grounds to search far and wide for blackberries! Beauty salon spa or muddy puddle? Where is the “Muddy” puddle when there is no rain on a fine hot day? The ground is dry so that there is nothing to splash and splosh. On hotter days it does not snow and all of us are thirsty as the temperature is 30 degrees. What would you do with a ball of clay? Last week in the Burrow the children were introduced to clay. We explored what it felt like, smelt like and more importantly how we could make role play marshmallows with it! After seeing the children so engaged and intrigued by the clay I made this week all about the grey sticky and malleable material. Pond dipping is easily my favourite Forest School activity, so I was very excited to be part of a few sessions last week. It is truly lovely to be sat by the water’s edge on a warm sunny day and admire the surroundings that our pond has to offer. Over the past couple of weeks we have been focusing on fire and what elements come with this. Whether we’ve been looking at cotton wool or our fire steel the children have shown great interest in this activity! 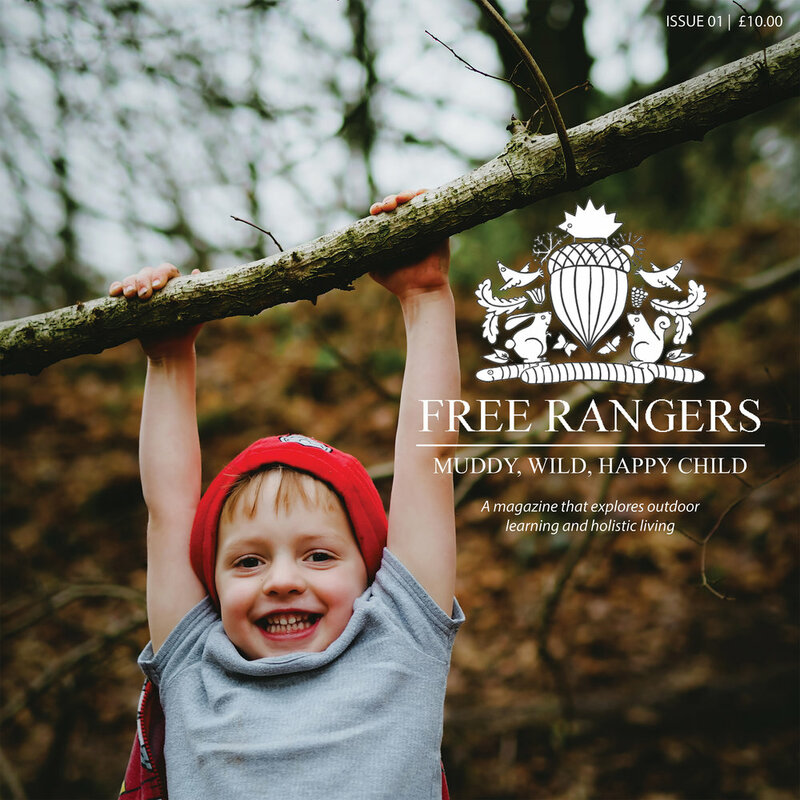 Forest School offers a lot of freedom. Freedom to explore. Freedom to imagine and create. Freedom to move. Sure, they get these element elsewhere too, but being able to do this throughout the outdoors, largely unfettered by the nuisance grownups sticking their oars in, makes their learning and development meaningful and memorable. I Swam 6K in a cold river and it made me think of Free Rangers. A lovely image taken by Anna Barclay, most amazingly skilled photographer. As we grouped for the safety briefing I began to feel fluttering nerves. It was at this precise point that I wondered if I could actually manage to swim 6K. Is it a bridge? Is it a trampoline? No - it’s a giant crash mat! This week in the Burrow the children have been using their imaginations and using the crash mat for many different things. Welcome to the Burrow Ezme! Hi, I'm Ezme and I have just started working at Freerangers in the Burrow. I am level 2 qualified and am currently studying for my level 3 qualification in Early Years. I have almost 2 years experience working with children in another nursery, however I have never experienced a forest school and even after just 6 weeks I am loving it. Forest School this week has looked at what it means to be STRONG! Against popular belief, I haven't been secretly training my own little army of Forest School minions ready to over-through Midsomer Norton at a moments notice, so I can final establish my Red Fox kingdom! (although that does sound like fun). At Free Rangers we value and celebrate mark making which is explored in all areas of play. Children often notice and marvel at the marks they make, looking at their footprints, using rakes and impliments to make marks in the sand, dragging them to make lines and curves. As you know the children have been learning our version of the traditional story of ‘The Three Billy Goats Gruff’. Each day they have listened to members of the Burrow staff reciting the story. The words have been embellished with some of our story making actions. In the Burrow this week, we have been experimenting. Would you ever have thought of putting ice cubes on a tray or table and letting the children paint them? This simple activity is a great activity for all ages of children, it can develop children’s gross motor skills whilst learning about the science behind colour mixing. When observing play/learning situations on Forest School, I have to weigh up a lot of decisions in my head. Is their play safe? Should I step in here? How could I extend their learning? Which direction is that child taking their play?